For centuries, artists mesmerized by Turkey have painted its unique landscape and even today painters travel great distances to record the country’s beauty through their brushstrokes. 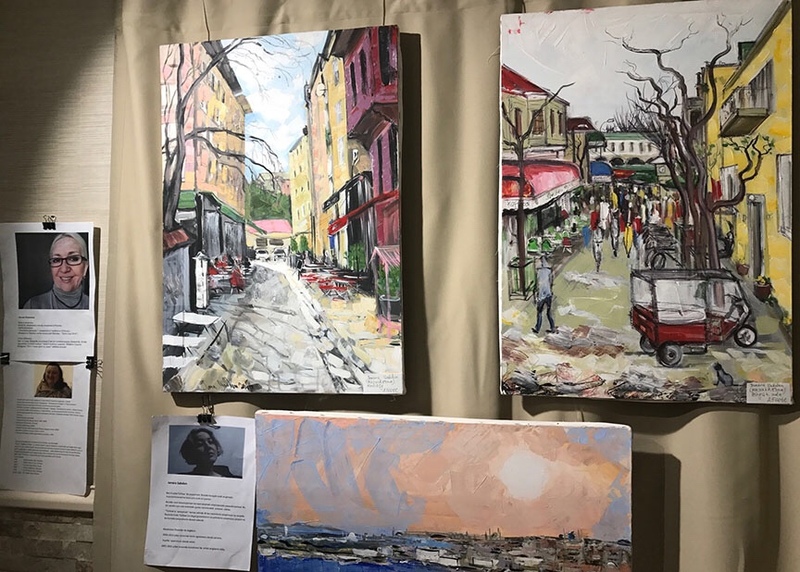 Istanbul is currently hosting a month-long painting exhibition titled “Guzel Turkiyem” (My Beautiful Turkey in English) as part of an international art project. People from all over the world are taking part in it. Anastasia Lapitskaya from Belarus, Cornelia Margan (Republic of Bashkortostan), Ethem Baymak (Kosovo), Janara Sabden (Kazakhstan), Stefan Hadzi Nikolov (Macedonia), Svetlana Elantseva (UK), Vahid Novruzov and Ilham Enveroglu from Azerbaijan, Elvira Yakovchik (Ukraine), and Tulay Deniz Gumus from Turkey are among the participants. 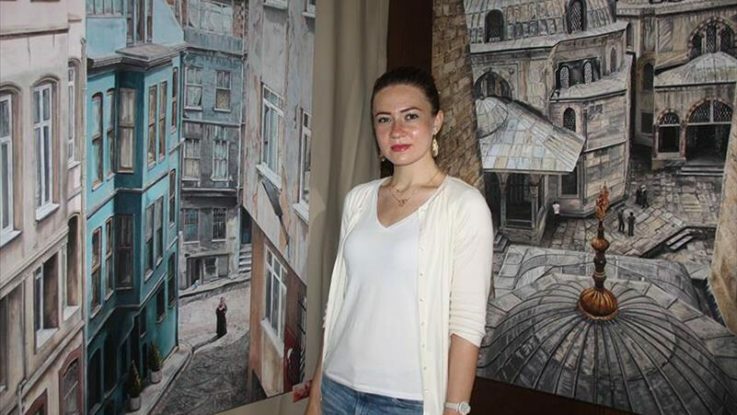 Yakovchik told Anadolu Agency the idea of holding an exhibition came after she and her friends attended a fair in Turkey and were left deeply impressed by the country’s beauty. “I have drawn all my life. I came up with the idea of drawing and [attending] a fair here. Istanbul is quite precious for me. I want to hold my individual exhibition [here] in a near future,” Yakovchik said. Describing the main theme in her paintings as the coupling of the old and the new, the Ukrainian painter hailed Turkey’s “excellent” nature. The exhibition began on April 15 and will continue until May 15.